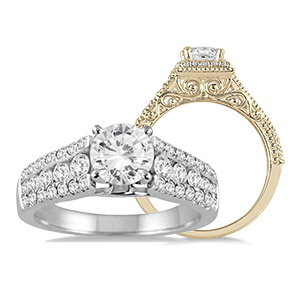 A complete collection of Engagement Rings, Wedding Bands as well as Bridal Party Gifts. 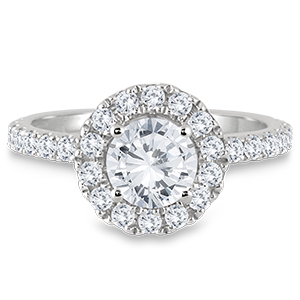 Choose from pre-set engagement rings or create your on ring by selecting a certified diamond and a setting of your choice. 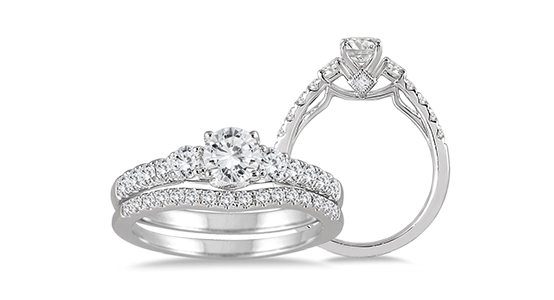 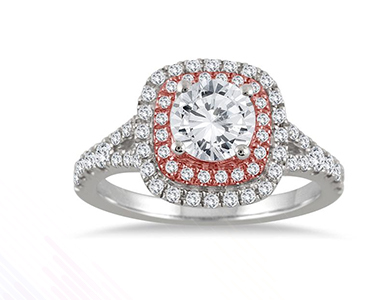 A stunning collection of diamond engagement rings created to last forever. 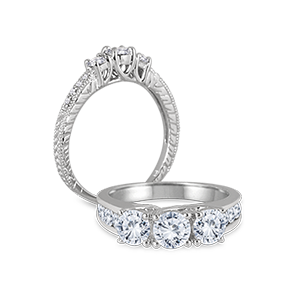 Symbolize your Past, Present, and Future love with a selection from our three stone ring collection. 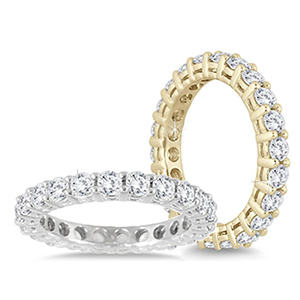 Gold wedding bands and platinum bands available in several styles, from plain comfort fit wedding bands, milgraine edge bands, brushed center wedding bands, two toned gold bands and knife edge wedding bands.